The U.S. Senate in 2017 has applied a version of this rule to the debate over the nomination of Alabama senator Jeff Sessions for attorney general. Sessions’s candidacy is obviously not the moral equivalent of slavery. It is, however, a faint echo of the same political tradition. Sessions is not an advocate of restoring slavery or even legal segregation. But he has labored during his career to restrict African-American voter registration, and is the senator mostly closely identified with Trump’s ethno-nationalist themes. Sessions was the first senator to endorse Trump, and served as a valuable adviser to him and a platform between traditional Republicanism and the president’s brand of populist white identity politics. The rule against impugning fellow senators is a slightly absurd imposition of etiquette designed to protect the swollen senatorial ego. What makes it not merely silly but utterly absurd in this instance is the fact that the senator being protected in this case is not only a party to the debate, along with 99 other senators, but also the subject of the debate. And the very argument of Sessions’s critics is that he is unworthy of the office to which he has been nominated. The application of Rule 19, which has not always been enforced, prevents opponents of his candidacy from making their case. Many historians of the 19th century believe the gag rule backfired against the South. It dramatized the undemocratic nature of the “Slave Power,” changed the subject from the merits of slavery to the merits of being allowed to debate slavery (thus broadening the opposing coalition), and ultimately created far more publicity for anti-slavery petitions. 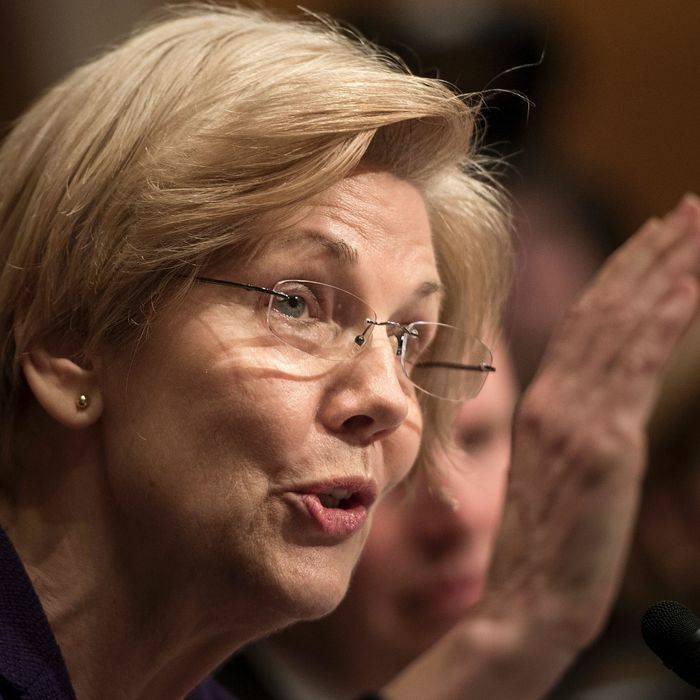 Mitch McConnell’s gag rule on Elizabeth Warren will likely have the same effect. Sessions has the votes for confirmation, but the grossness with which his colleagues have suppressed criticism of his record has given the opposition a platform, and a cause.